Scott Somers – Solar Lunch and Learn! Come and Hear from Scott Somers, Director of Sales and Managing Partner at RB Solar Pro and Rb Green Energy. He started off as an entrepreneur opening his first business, a title company at the age of 24. When the market crashed in 2008, it crushed him and he lost everything. Scott had to file bankruptcy and foreclosed on his house. He then ventured into several different opportunities, searching for the one that gave him purpose. Then in 2013 he found solar. Unfortunately he didn’t realize it was allowed in Florida, until 2014. He worked for few companies learning the industry and then beginning of 2016, he found a few partners and that is where the story begins. From year 1 (2016) to Year 2 (2017) RBGE grew from 1 million in sales to just under 10 million in sales. The company continues to grow at a rapid pace and we continue to improve our elite level of customer service. 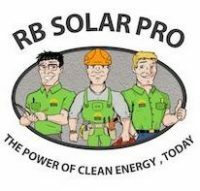 RBGE is now considered and recognized as one of the top solar contractors in South Florida. They have a vision to grow to 50 million in the next 2 years and ultimately going Nationwide within the next 5 years. All Your Question Will Be Answered! Have You Been Trying To Think Of A Way To Set Yourself Apart From The Competition? Are You Looking For A Way To Increase Home Value? Would You Like A Way To Make A Little Extra Cash On Each Job Without Working Harder And Helping Your Clients Save Money? Could You Use A Tax Credit? Have You Ever Wished You Could Do More For The Environment? Would you like to see how you or your clients can have solar without any money out of pocket and a monthly payment that will cost less than you currently pay FPL?